K9 Natural is a nutritionally sound and species appropriate diet which can therefore be fed to dogs at any stage of life: from puppies to seniors, during pregnancy and lactation. It is also suitable for any breed of dog, from toy to giant. 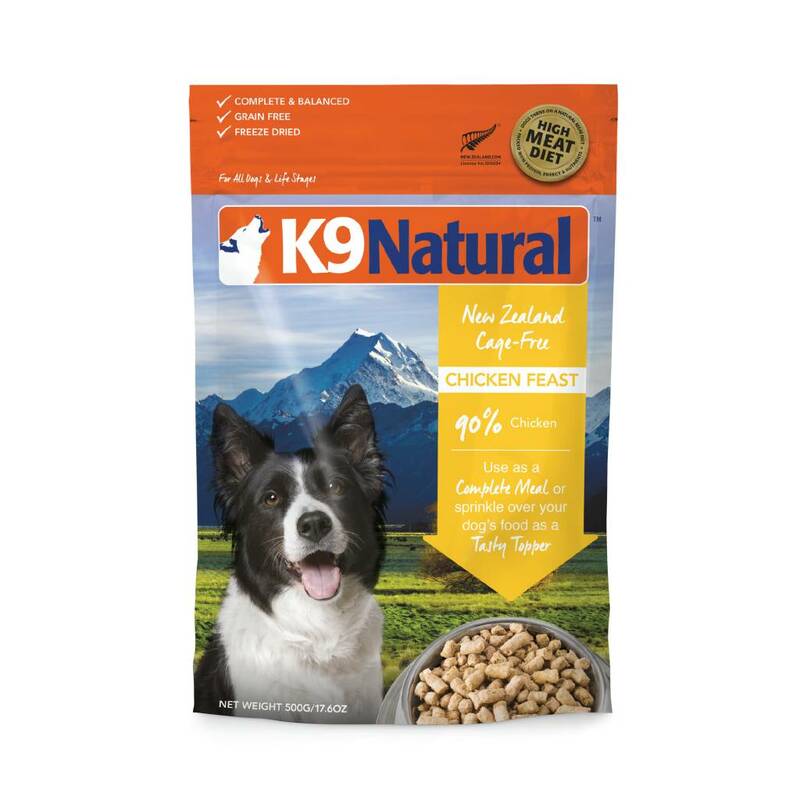 We guarantee that every mouthful of K9 Natural is bursting with the pure, natural goodness of New Zealand. You'll never find preservatives artificial colour or flavours, wheat, gluten, soy, rice or added sugar in any of our products, guaranteed! 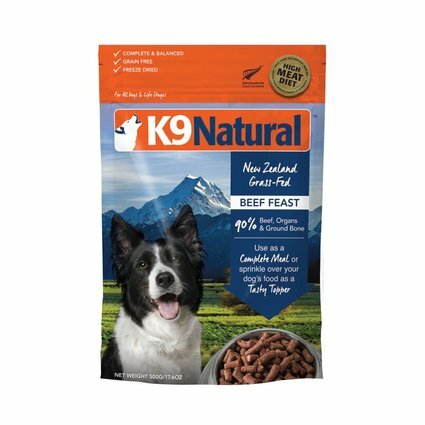 Ingredients:Chicken Meat, Lamb Tripe, Eggs, Brown Kelp, Flaxseed Flakes, Cabbage, Broccoli, Chard, Carrot, Cauliflower, Dried Kelp, Calcium Carbonate, Apple, Pear, New Zealand Green Mussel, Beta Carotene, Vitamin D, Vitamin E Supplement, Zinc Proteinate, Sunflower Oil, Iron Proteinate, Copper Proteinate, Manganese Proteinate, Thiamine Mononitrate, Folic Acid, Selenium Yeast.